What constantly baffles me, and I feel that I can say this as a former (15 - 16 years) resident of California, why the Tour of California fails to deliver on its promise. It is, sorry to say, a low rent option to the races that tend to run at the same time. And this year it is coinciding with the Giro d’Italia. While the Giro does tend to reside in the shadow of the Tour de France, in many ways it is a better race. It's a bit more unpredictable. The organizers tend to create a race that defies the preconceived notions of how a stage race should be laid out. And that is what makes it so great. 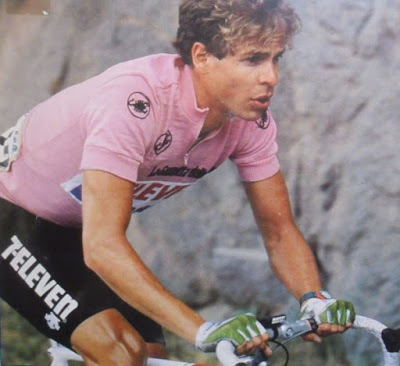 This year also marks 30 years since American Andy Hampsten defied the odds and with his fellow journeymen from 7-Eleven, crept up the Gavia Pass in a near blizzard, and claimed the Maglia Rosa (that's pink jersey to you). And where this all ties together with watches? He and the entire 7-Eleven team wore watches from Tag Heuer. So while the folks at Tag feel that sponsoring a (I'm sorry, but I've got to be honest here) truly hideous looking best young rider's jersey at a B level race and not sending any press about it is a better use of their marketing and pr money and efforts, I thought I would pick up the ball and air out this repeat. The year was 1990. I was in my final year at the University of Oregon, and was visiting my father over the summer break. I had one more term to go, and two days before I was set to head back to Eugene, my Bullova watch pooped out. Trying to find someone capable of changing the battery was on par with finding an honest politician - it just didn't seem to be possible. So on what must have been the fifth attempt to get a battery changed with no success, I looked down in the display case and saw what would become my first Swiss watch. The Tag Heuer Formula 1, circa 1990. I realize that we all had different introductions to Tag Heuer, and this was mine. And out of necessity, a passion was born. All of the models in this ad were available, but the one that went home with me was the third from the left, the red case, green strap and bezel - or as I came to refer to it - the 7-ELEVEN Tag Heuer Watch! 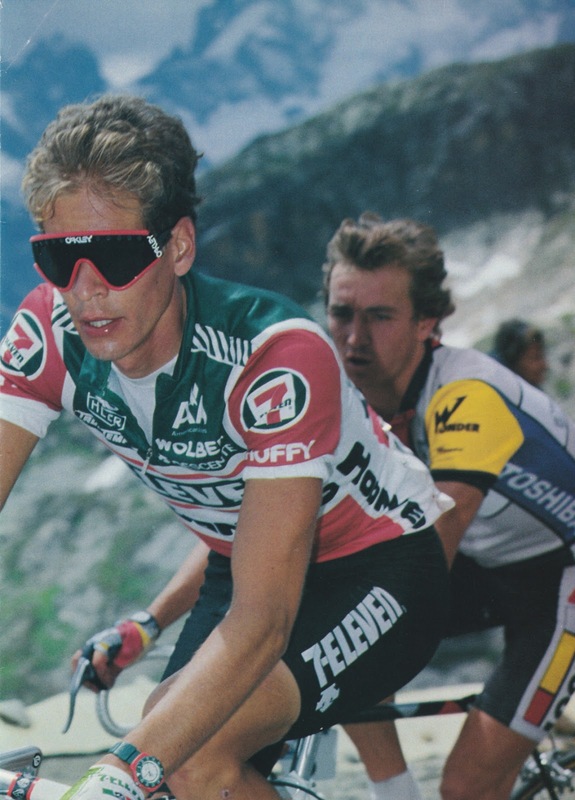 Andy Hampsten and the 7-ELEVEN team were my cycling idols in the 80s. 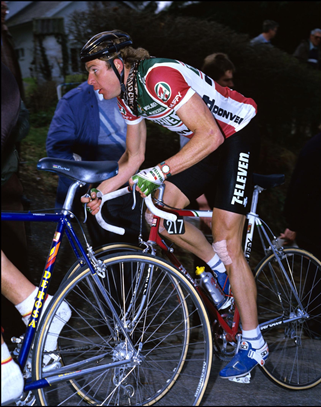 And he was the first American winner of the Giro D'Italia back in 1988. Courtesy, clearly, of someone else! 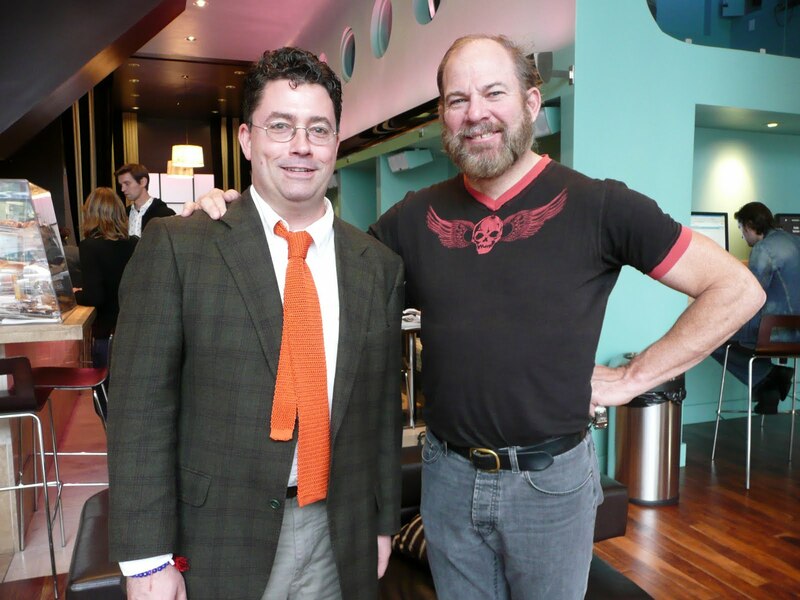 And the Tag Heuer connection to cycling (and my passion) went even further and was clearly shared by others, including one of the main voices of Tour de France television coverage today (at least here in the US) Bob Roll, a team mate of Hampsten's on team 7-ELEVEN. Bob, or "Bobke" as he is often known is perhaps my all-time favorite cyclist. Not because of his many wins in big-time races... let's face it, there weren't many! 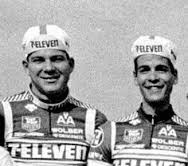 But Bob, Andy and the rest of the 7-ELEVEN team perhaps best embodied what Tag-Heur's motto is today - they did NOT "Crack under pressure". No matter what the odds, Bobke put it all out there! Apart from Hampsten, and Davis Phinney, they were a team made up of journeymen dreamers. Riders who had a sort of, "what the Hell, let's give it a go" attitude. 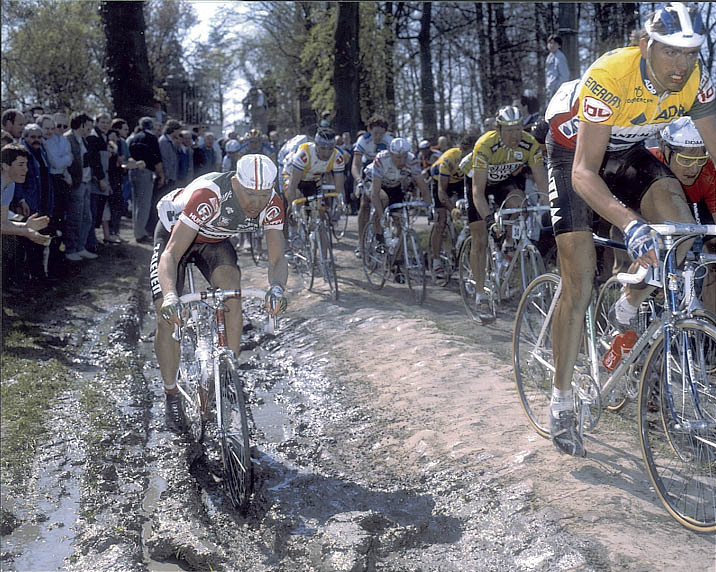 Keep in mind, this was the era of a certain fellow known as "the Badger" and a host of other cycling GODs. But these guys threw their hats in the ring and gave it a go. And in an age where US cyclists were viewed more as amateurs, they came to Europe and impressed the Europeans. 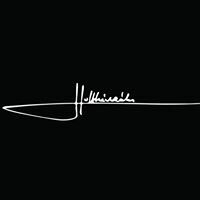 My identification with Tag Heuer went beyond just the 7-ELEVEN connection. 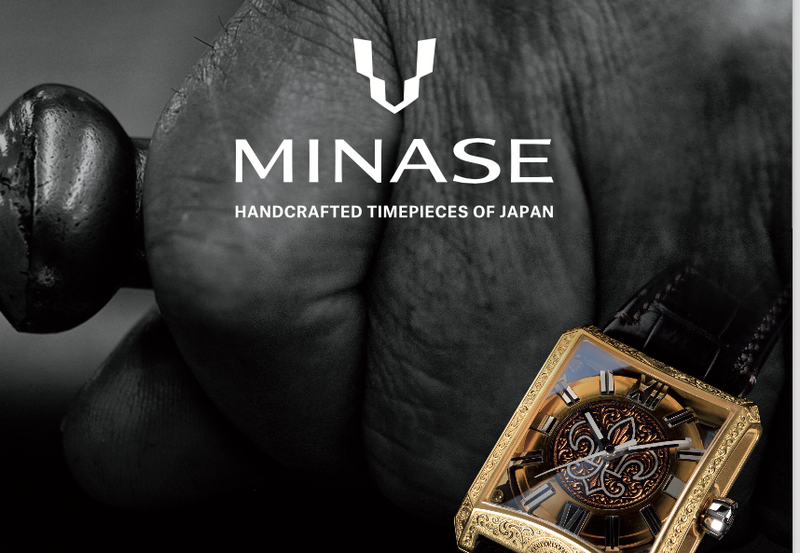 It was clearly a great brand with a great watch, but like team 7-ELEVEN people didn't just take that at face value. 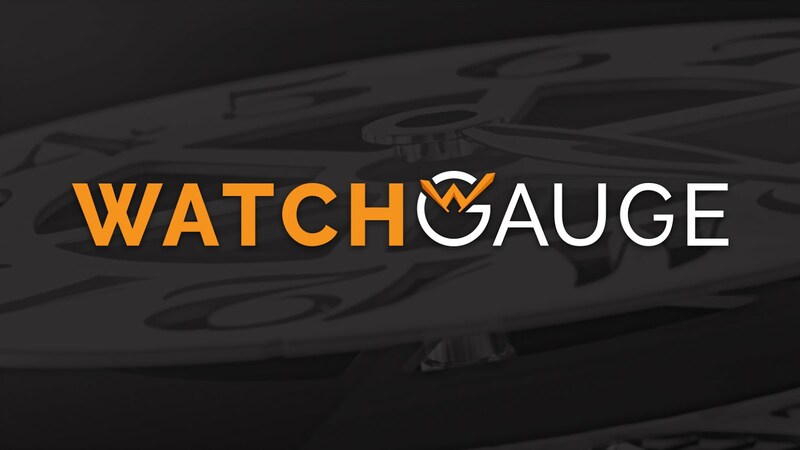 Tag Heuer had to put in a lot of time and effort to get where they are today.